I started this post on the last day of the first month of winter and it is freezing. The wind is blowing off the Antarctic and it is wet and soggy and the wind puts ice in your bones. I've dragged the hand-knitted neck warming goodness out of the cupboard. 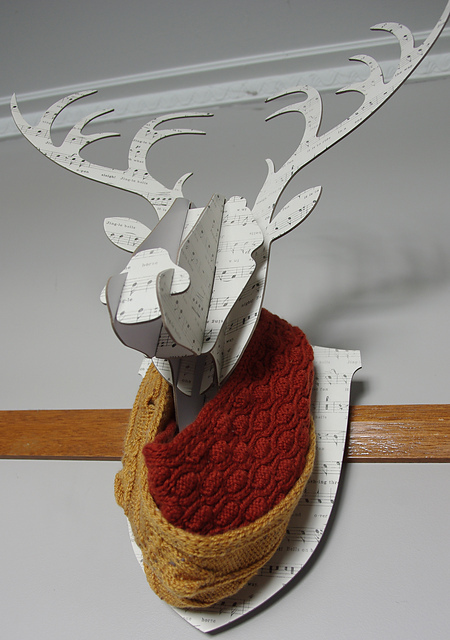 So in honour of an Australian winter, today's Curating Ravelry post has a theme of cowls - free patterns of course. I'm a fan of texture and lace and here you will finds cowls knitted at a range of yarn weights. 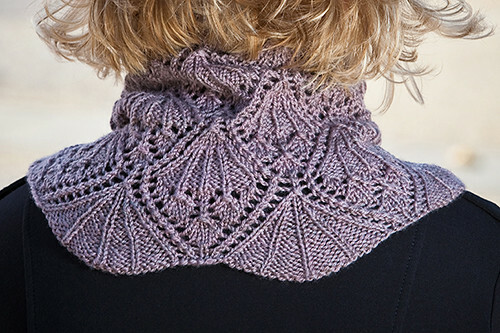 I'm starting with the iconic free cowl pattern; the Honey Cowl designed for Madelinetosh yarns. 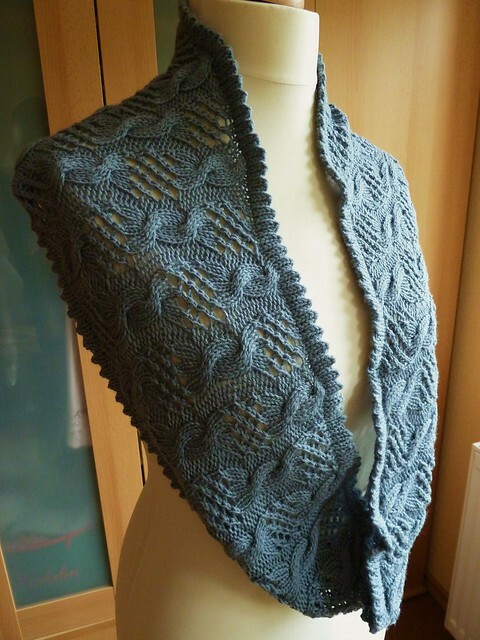 This is a clearly addictive pattern with 16015 cowls made so far. Many people can't just stop at one. 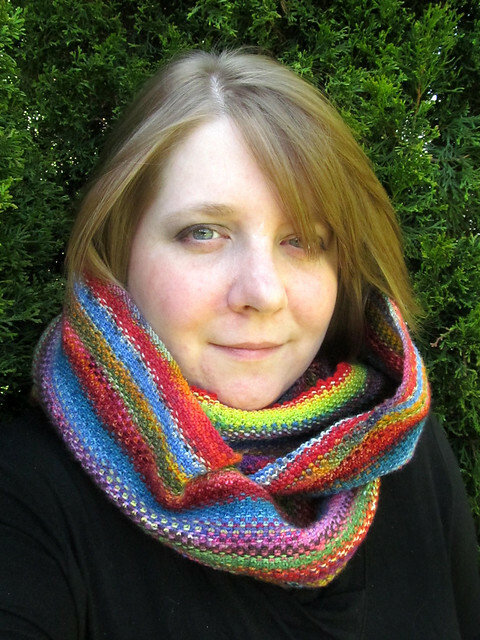 Honey Cowl by Antonia Shankland. More gorgeous texture in a bulky yarn this time in herringbone stitch. 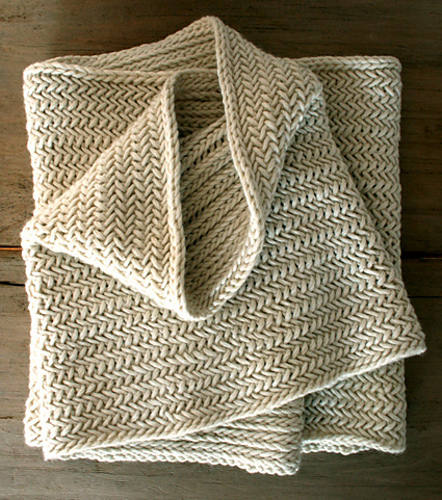 Big Herringbone Cowl by Purl Soho. Or lacey and leafy. I love this idea of fastening a smaller cowl to fit to order with a gorgeous brooch or pin. 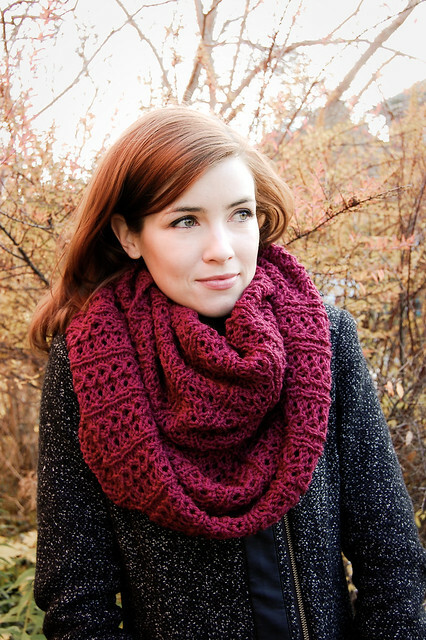 A Noble Cowl by Emily Kausalik. 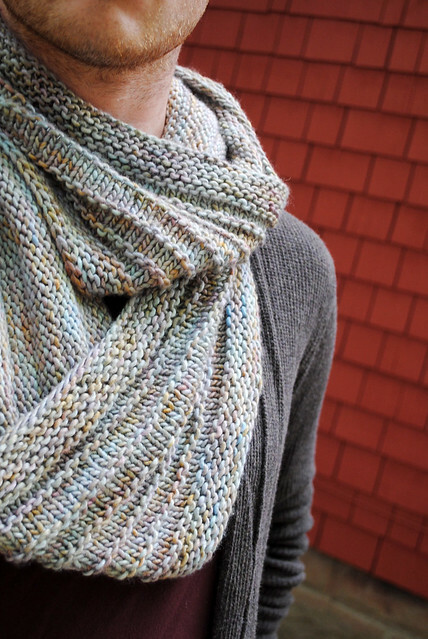 Want to knit a special project with your knitting BFF? The concept for this design was to create a knitted version of “best friend necklaces”. Here's the BFF cowl from Knitty! Interlocking links are knitted flat, then grafted together for all eternity. I made this one. But I cheated and was my own knitting BFF. (Slightly sad but a great fun knit). This is a worsted weight project. 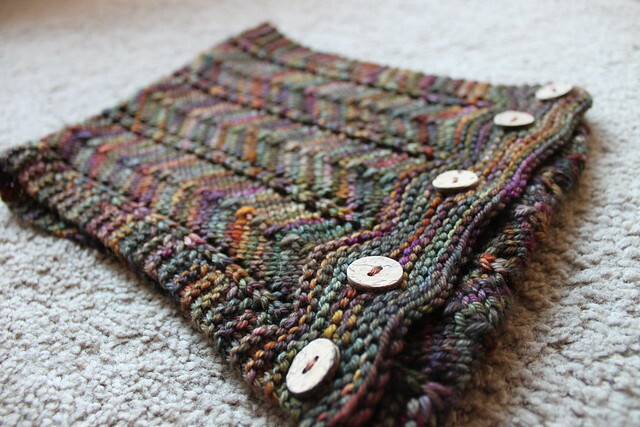 BFF Cowl by Ysolda Teague & tiny owl knits. A Grey Loop by Helen G.
Or simple, effective and unisex. Purl Ridge Scarf by Stephen West (Westknits). 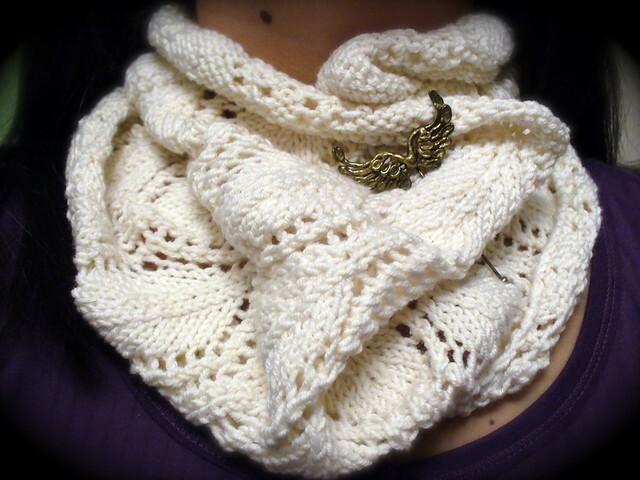 A lacey cowl that's long enough to wrap around and around and nestle into in deepest winter weather. Linen stitch in leftovers, bright and rainbow and a great stash-buster. Manic Panic Cowl by Sarah Core. Or lace and texture blended together in a reversible loop that you can just through around your neck without having to figure out which way is up. Gorgeous milanese lace. A long loop of airy scallops. 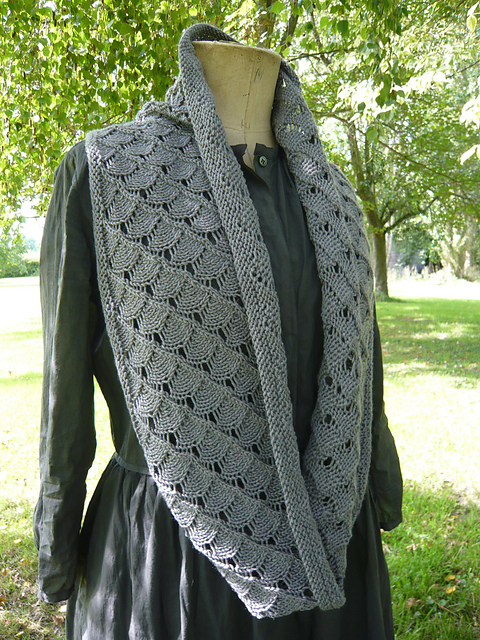 An elegant lace funnel shaped cowl that frames the shoulders and is long enough to warm your neck without bulk. Simple unisex loops combining stocking stitch, garter and rib. 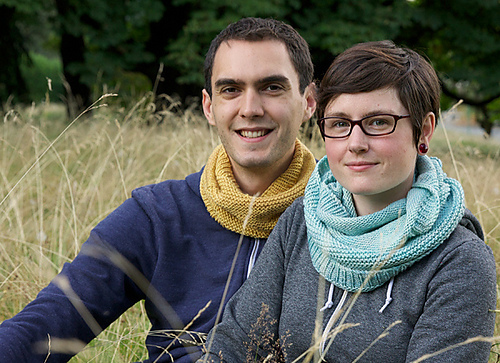 Matching his and hers cowls anyone? 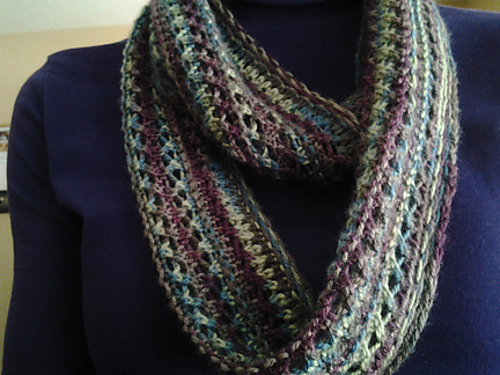 This one is designed to showcase a variegated yarn without pooling and without the yarn overwhelming the pattern. Or maybe colour-work is your go? 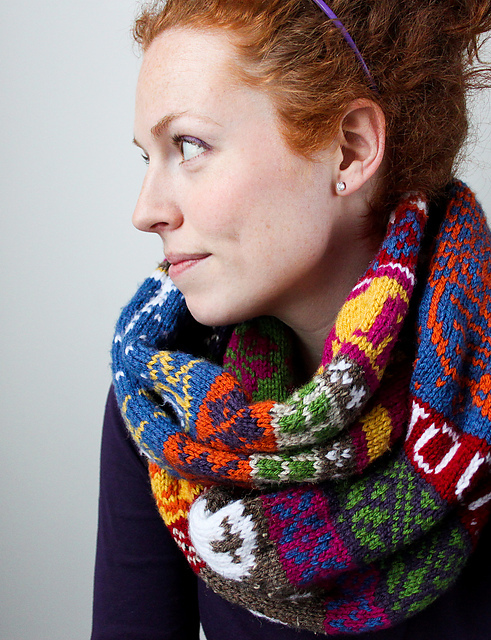 Tell your life story in a wearable cowl. Knitted chevrons in an elegant buttoned cowl. Crossed stitches produce a distinctive openwork pattern. 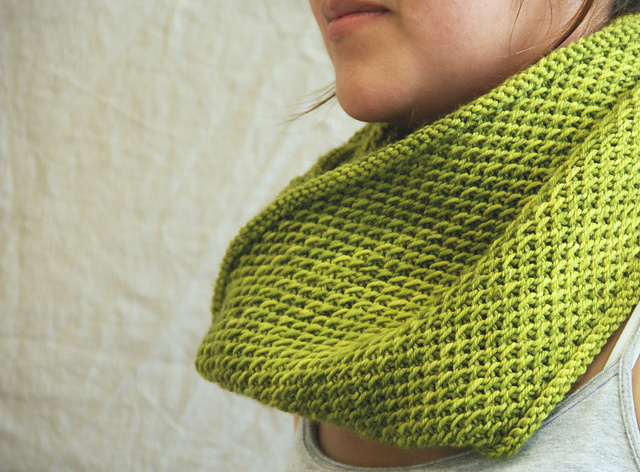 Lace and cables make for an elegant and airy cowl. I could go on and on and on and on. I've inspired myself to get out the needles, dive the stash and plan the next cowl. 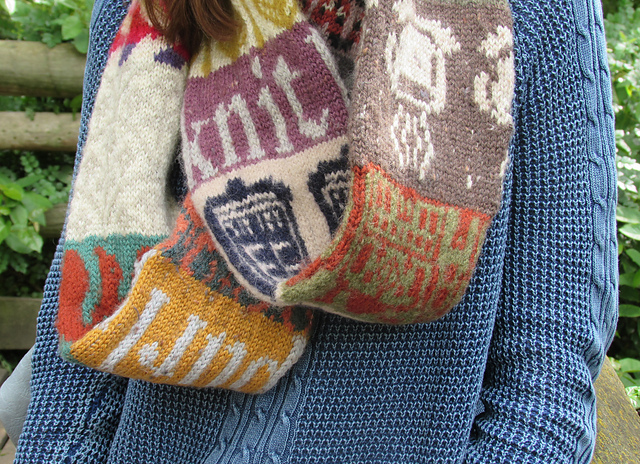 Hope you enjoy knitting a winter cowl too!